The Isley Brothers have always been one of my favorite groups. So many classic love hits: "Voyage to Atlantis", "Summer Breeze", "Hello it's me" are some of my favorites. While listening to the Isley Brothers on my laptop I ran across "How Lucky I Am ". I wasn't familiar with it but it is soon becoming one of my favorites. 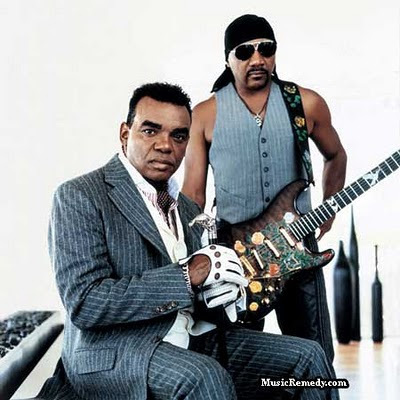 Lead singer Ronald Isley wraps his voice around each syllable and brother Ernie Isley picks his guitar so gently and Chris Jasper keyboard work is as gentle as you would hold a newborn baby.